Yay! I’m so happy to see a deal on this magazine! 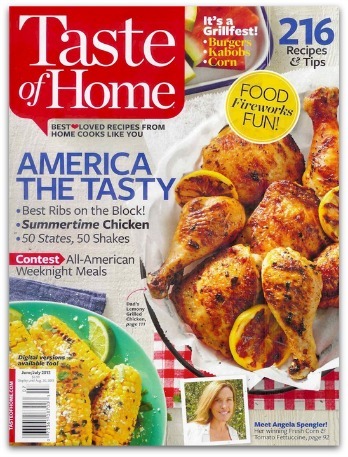 TopMags.com is offering Taste of Home Magazine Subscriptions for $6.25a year. Use the code: 88494 to get this deal. Taste of Home takes a commonsense approach to family-pleasing meals with family-tested favorites. They have articles if you’re cooking for one or two, as well as budget meals for big families. This offer expires 6/4 at midnight.